The tight control of vacuum conditions in the hermetically sealed devices is one of the most important factor to ensure long term stability. Besides getters material that help to maintain stable operation during the life time a robust control of sealing environment is mandatory to achieve the target vacuum. 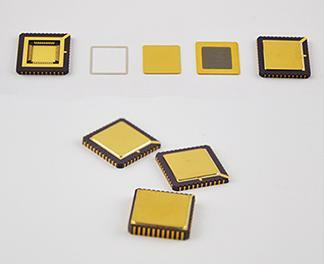 Leveraging the long term experience in the packaging of MEMS and other encapsulated devices, SAES is now offering a vacuum discrete packaging service to provide to customer a complete solution. Integration of suitable getters such as porous, getter films for MEMS and for Vacuum Tubes and dispensable dryers in the packaging, as well as the appropriate activation conditions are keys factors to obtain fast and reliable vacuum packaging solutions. SAES packaging facility is equipped with state of the art sealing tool for both ceramic and metal packages in a controlled clean room environment for fast prototyping, process development and packaging foundry service. For more info please download the complete presentation on the right.